Welcome to the Weekly Siren Test, AtmoLife’s hodgepodge of meteorological happenings helping you survive your Monday. Content may or may not be satire, and it is your responsibility to decipher that for yourself. 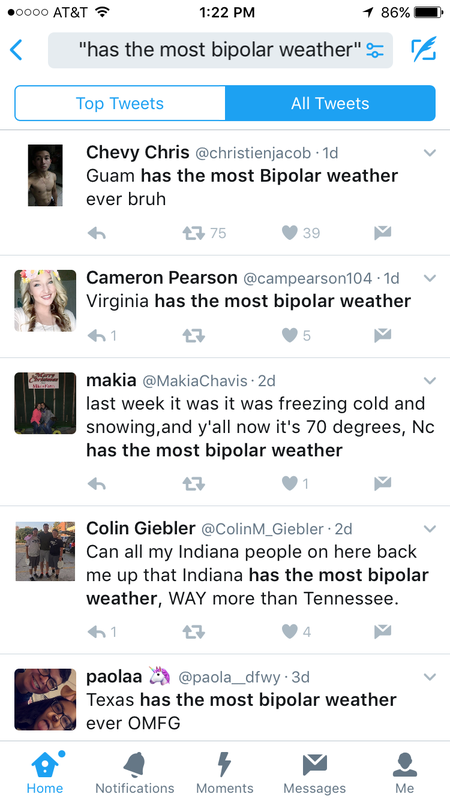 One of the most underrated American traditions is claiming that your state has the most bipolar weather. For exhibit A, I present to you the 5 most recent “has the most bipolar weather” tweets. By contrast, Oklahoma and Kansas also had ice storms this weekend, but no severe weather. Louisiana meanwhile, has a marginal risk of severe weather with today’s continuation of the storm, but no threat of ice storms. There is something particular about Texas that makes it susceptible to both severe weather and winter weather at the same time. Furthermore, additional concrete evidence surfaces in the form of memes showing that this past weekend’s weather is no unordinary event for the state. If you’re not sold on memes being definitive proof that Texas’ weather is more bipolar than the other states, US Tornadoes, a reputable AtmoLife 100 source, shows that Texas observes more tornadoes than any other state. It is important to note however, that Texas’ weather is alarmingly less bipolar now than it was roughly 175 years ago. Although historical records are sparse, climatologists believe that storms of that era frequently produced blizzard conditions, avalanches, and landslides across Texas in addition to the ice, hail, and tornadoes still observed statewide from modern storms. So what makes Texas especially susceptible to a large range of weather? It will certainly take ample funding, but with your help, we may just be able to find an answer to this question. After witnessing 3 hours of failing defenses inside Jerry World, fans doubt the building’s structural integrity and abandon it during a tornado warning. Meanwhile, Kansas City Chiefs fans can thank the ice storm for extending their postseason 7 hours longer than usual. Both the severe weather and freezing rain are part of Winter Storm Jupiter, and if you were impacted, you probably Saturn Uranus inside all weekend. California is expecting heavy rain again this week, which will no drought lead to more flooding. With deteriorating forecast accuracy, it’s time we stop chemtrailing and start chemleading. 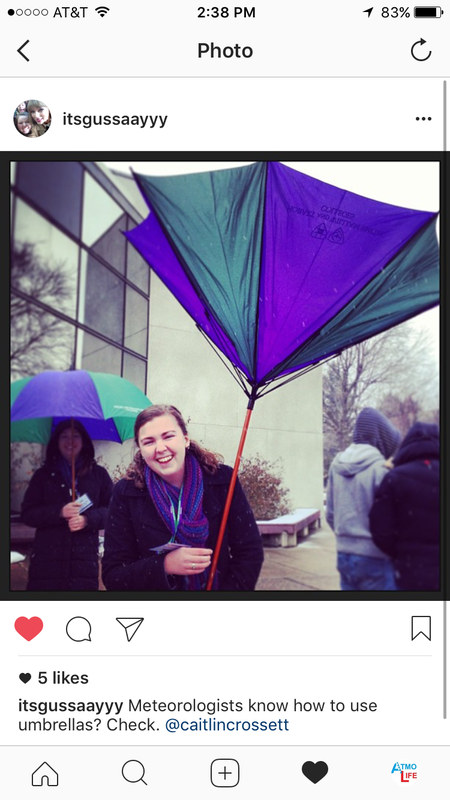 Congrats, itsgussaayyy of Hobart and William Smith Colleges, you win a free AtmoLife koozie and 3 AtmoCup points for your school! This week’s challenge: Tag atmolife in a new photo/video of a pretty sunset that you see this week.